The Central Coast Shopping Experience! Central Coast Shopping is an exceptional experience you will never forget. You can't visit the coast without shopping. Each town in the San Luis Obispo Region of the Central Coast of California has a wide variety of unusual shops, boutiques and stores. 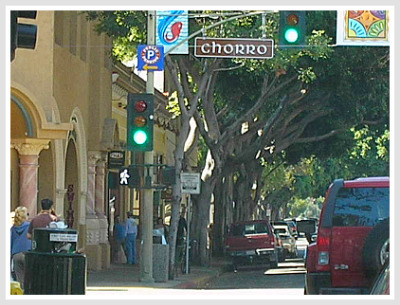 You can spend your complete vacation shopping in down town SLO, Cambria, Paso and all the other towns. If you get tired of looking for hard goods you can always stop in one of many coffee shops, bakery stores and ice cream parlors. We live in Cambria and we never tire of walking through the East and West villages looking at in all the shops. One of our favorte stores to visit for Central Coast Shopping is Cambria Wildwood. Wildwood is the largest Brighton, Tilly and Life is Good dealer on the Central Coast of California. They also have great lines of clothing for men, women and children. Stop in and tell them Central Coast Travel Adventures recommended the you. What we plan to do on this page is list as many shops, stores and botiques as we possible can. If you are a shop owner on the Central Coast contact us or look at our page on advertising prices. Central Coast Shopping in Cambria. Great Shops on the Coast!